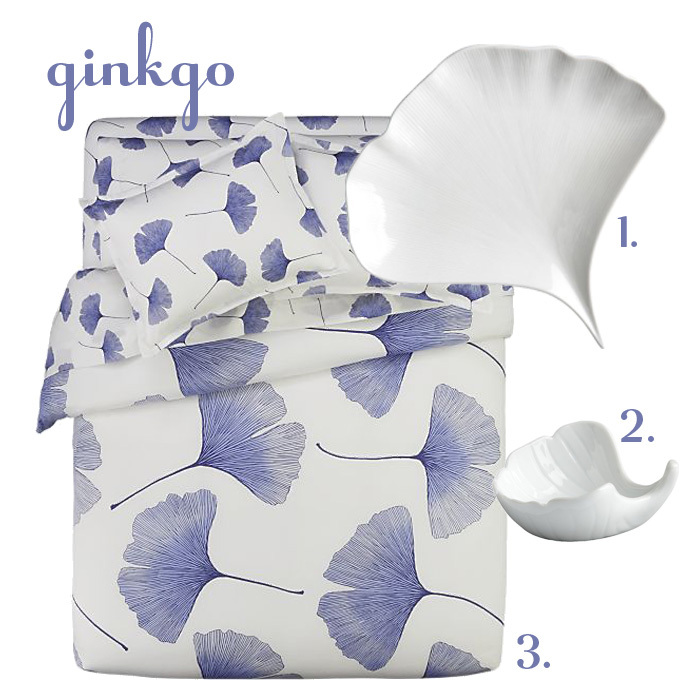 I had the chance to browse in Crate & Barrel for a few minutes last night, and I noticed that ginkgo leaves are big at C&B this spring. Ginkgo trees have long been a favorite of mine (did you know they're considered living fossils?). A couple of those serving plates may be coming soon to a china cabinet near me. All available now at Crate & Barrel.